in o'sullivan's irish pub, joel becomes uncontrollable. moving the right stick (to left or right) results in joel doing 180 turn. stopping and restarting the game does not help. trying to defeat the hunters in the pub is hard enough, but trying to outrun the truck after exiting the pub is near impossible. if you can manage to escape to the bridge, after the river cut-scene, everything is back to normal. I have reported many bugs when the game suddenly stops and goes to the error screen. however, this is the first bug i have reported on that does not stop the game. The training manuals in Bills Town and Pittsburgh are being collected but not being counted towards the trophy. This is definately a new bug. I've played it through a few times this week to get the platinum trophy and this has happened on a new save and new game+ and vice versa. I love all your games (Uncharted series and Last of Us), they are so much fun, and always so flawless and PERFECT programmed and made with so much love to detail and attention. I can only say it`s "Witcher 3 quality" and kudos to you all! But I could still find a graphics glitch, it`s relatively at the beginning of the game when entering the docks. If you could please fix this graphics glitch, The Last of Us Remastered would be flawless glitch-free absolute PERFECTION, a masterpiece of art. Cheers and have a beautyful weekend! The game is looping in custcene at resort cabanas. The last try of resolve was format console. Will black levels ever be fixed within the main game? As they are now they really detract from the immersion when blacks are completely washed out within dark scenes and all detail in the image is lost in a thick grey mess. My display is set up perfectly and the issue only occurs in specific areas on the main game, most notably within the chapter Downtown. When you load up Left Behind the issues disappear completely and correct contrast levels are shown, the DLC looks substantially better and in turn in much more enjoyable to play. Please could we get some word on if this will be fixed as I have yet to play through the game because of it. I really want to enjoy this title yet it has sat untouched for years because of the awful contrast levels. Good day, the game is a bit trolling me. It's not "really" a bug , but suddenly, it can be somewhere else. I attach the video. The character has a problem of stuttering.. Is so boring... Help! I see a lot of people have this problem and ND just dont solve it..
Hello, I’m trying to get the “it was all just lying there” trophy and my stats page says I have 0 artifacts. I’ve viewed each one that I currently have and should have several. Please advise. Oh, mighty Naughty Dog! How frigging hard could it possibly be to create a downloadable language pack for those who bought an edition that doesn't come with the required language? 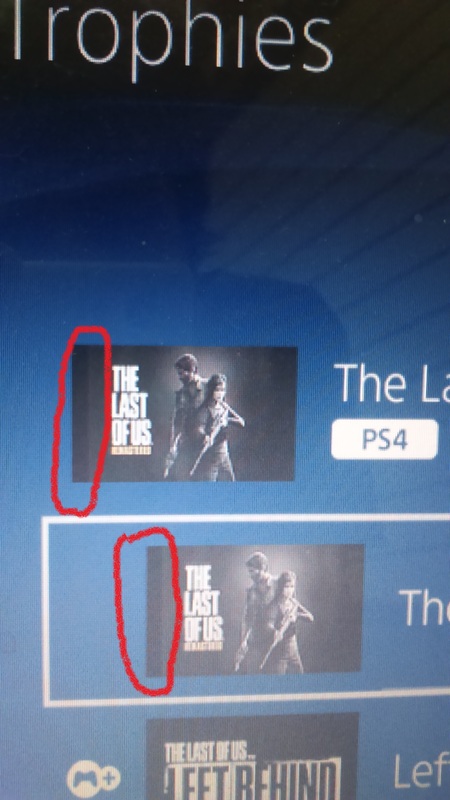 I simply bought The US Remastered edition for a friend that doesn't come with a language that does come with EU edition. Or is it really that difficult to release such a pack??? Spare yourselves the effort of replying to your customers about how impossible it is to find the language that isn't there and release a downloadable language PACK!!! I have completed grounded mode plus (finally) but i haven't got the trophies!!! I need some help please. have completely grounded mode plus (finally) but i haven't got the trophies!! Please help me!! Vertical black border line on game trophies profile picture. Fix the picture, or let me do it for free. Just make this line disappear. My eyes of aesthete cant's take it anymore. You have best graphics in video games industry and allow yourself such amateur trick? Shame on you. When I alert some enemies and get killed, I have to restart the encounter, but the enemies are still in alert mode, which makes it much more difficult to pass it on stealth mode as they run towards you at the very beginning. The only way to overcome this bug is resetting the console. Could you please fix this bug? It's very annoying. 1- New paparazzi in town. It just does not work. 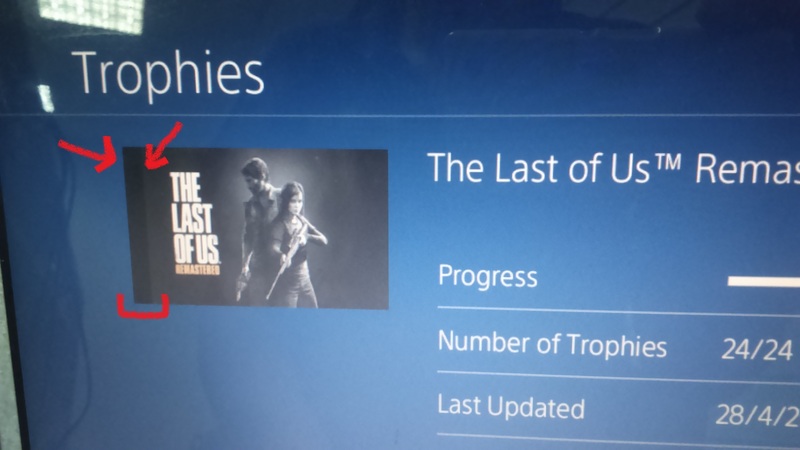 I got this trophy in Uncharted 1, but on this one it does not pop up. I got 75 treasures so far, including the relic. I have unlocked up to the Professional Fortune Hunter trophy. All of them except for the Novice Fortune Hunter, which would not unlock. Played for the first time a few days ago, and it is horrible. There are jaggies everywhere, and blurred edges. I have tried everysingle mode. I have a highend Sony 930E HDR tv, I also tried it on my sons PRO with his 4k monitor with the same results. I emailed Digital Foundry but they replied they will not get around to testing it for a few weeks, probably after the holidays. How did this pass quality control? 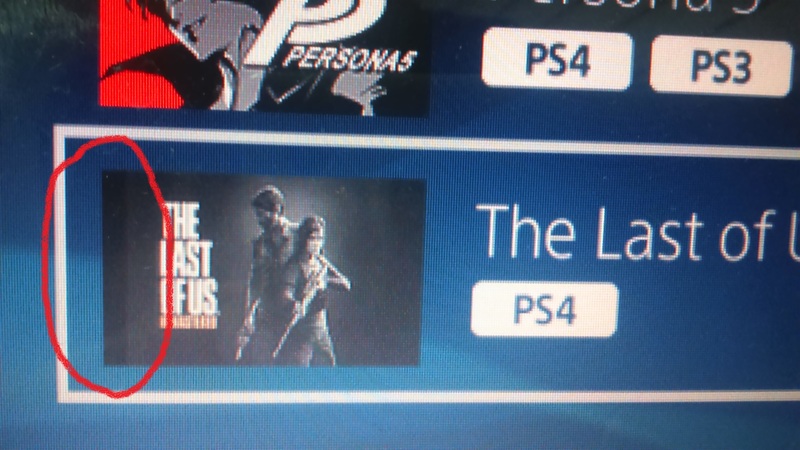 I purchased The Last of Us Remastered full game with English/Chinese/Korean version via PS Store Hong Kong online. However, it seems that this version only has English because I am unable to change Chinese/Korean language in the options under the main menu. Can someone resolve this problem here? How do I complete the two upgrade trophies? I understand how to complete them but when I started New Game + all upgrades were gone. Once I have finished New Game + where do I do my third playthrough as I assume if I restart New Game + then I will need to start again with the upgrades.